Alzheimer’s disease (AD) is now the sixth leading cause of death among Americans, affecting nearly 1 in 8 people over the age of 65. There is currently no treatment that alters the course of this disease. However, an increasing amount of evidence suggests that changes in the way the body handles iron and other metals like copper and zinc may start years before the onset of AD symptoms. 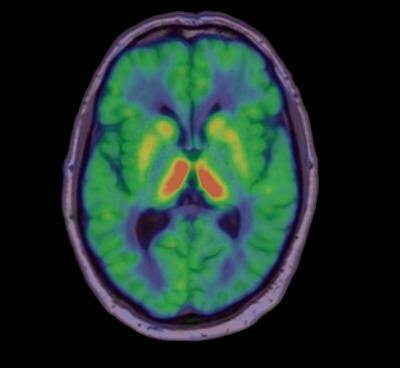 A new study shows that reducing iron levels in blood plasma may protect the brain from changes related to AD. In the current study a group of investigators from led by Dr. Othman Ghribi, PhD, Associate Professor, Department of Pharmacology, Physiology, and Therapeutics, University of North Dakota School of Medicine and Health Sciences, rabbits were fed a high-cholesterol diet which caused them to accumulate plaques of a small protein called beta-amyloid (Aβ). These plaques are toxic to neurons and central to the development of Alzheimer’s disease. The rabbits also developed changes in tau protein, which is part of the skeleton of neurons. When this protein becomes heavily phosphorylated, the ability of neurons to conduct electrical signals is disrupted. Following treatment with a drug called deferiprone (an iron chelator), the iron level in the rabbits’ blood plasma was reduced and the levels of both beta-amyloid and phosphorylated tau in the brain were returned to normal levels. Another degenerative process in AD involves the production of reactive oxygen species (ROS) that can damage neurons in the brain. Deferiprone is also thought to suppress this reactive oxygen damage caused by free iron in the bloodstream, however in this study there was no difference in reactive oxygen species in the treated group. It appears that iron in the AD brain is located in the wrong places – in particular it accumulates to very high levels in the cores of beta-amyloid plaques and is very reactive in this setting. Researchers at North Carolina State University have figured out how copper induces misfolding in the protein associated with Parkinson’s disease, leading to creation of the fibrillar plaques which characterize the disease. This finding has implications for both the study of Parkinson’s progression, as well as for future treatments. 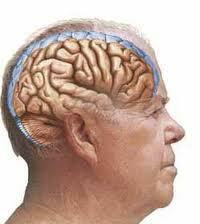 The protein in question, alpha-synuclein, is the major component of fibrillar plaques found in Parkinson’s patients. Researchers had already discovered that certain metals, including copper, could increase the rate of misfolding by binding with the protein, but were unsure of the mechanism by which this binding took place. Rose and NC State colleagues Dr. Miroslav Hodak, research assistant professor of physics, and Dr. Jerzy Bernholc, Drexel Professor of Physics and Director of the Center for High Performance Simulation, developed a series of computer simulations designed to ferret out the most likely binding scenario. The number of calculations was so large that Hodak and Bernholc had to devise a new method to make it possible for a computer to process them. Only supercomputers like Jaguar, Oak Ridge National Laboratory’s most powerful supercomputer – the most powerful in the United States, in fact – were up to the task. But the simulations finally revealed the binding configuration most likely to result in misfolding. Their results appeared in the June 14 edition of Nature Scientific Reports. The researchers hope that their finding will advance our understanding of Parkinson’s, one of the most common – and devastating – neurological diseases. “Understanding the molecular mechanism of Parkinson’s disease should help researchers in developing drugs that treat the disease rather than merely alleviate symptoms,” Bernholc says. Rose F, Hodak M, Bernholc J. Mechanism of copper(II)-induced misfolding of Parkinson’s disease protein. Scientific Reports 2011; 1, doi:10.1038/srep00011.